People want the best, the most valuable, and top end premium quality when comes to cars, clothes, and even shoes. But I believe you should have the best projector for you own home theater. It’s vital to have this in you living room, good to great projector, good to great surround sound system, good to great FURNITURE ! You don’t want smelly, old, uncomfortable furniture in you home especially when there is guest coming in from out of town, and the need to accommodate is there, trust me…. You want the best furniture set! 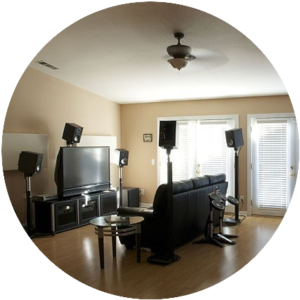 Doing this will set the standard for you whole entire home theater system. Not to mention it may solve any potential issues you may have with new equipment as long as you have a good warranty package. Which One Best Suits Your Style? People love to be wow and amazed, others like the simple settings with no flair, then there is people who need to have it all. Which ever choice is made, make sure it’s what you want and commit to it. 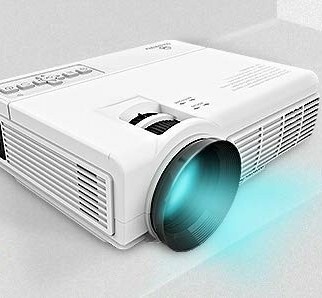 when you look for the best in home entertainment there has to home projector that fits you style, comfortably, and taste. I my choice is always performance and look. It my go-to for proper selections and value. I have no doubt in my mind this can really give me the type of options I’m look for. It’s really up to you how you would choose you home projector system. Some people like to have high ceiling mounts but then there are same folks who want their projector to be right to them or even under the sofa for more performance and less clutter. I’m just giving an idea of what to expect when you out shopping, just take the time and ask yourself if this is what you need using for you home? Does this really fit my entertainment center? Does this projector have all of what I require using for movies or television? These questions are as important as purchasing you next home theater system, especially the pricing. This is my top five list of popular projectors, high quality and best features and great value. I feel without these in you arsenal you up a creek without a paddle. There is a lot to love about this model, you could start with the basics and work up from there and watch the amazing features take effect on the screen will fully convince you made the right decision. One of the more popular features to this model is the no-rainbow effect you’ll experience while in the action sequence of the movie or show. The best thing about the Epson 2100 is having the comfortably to place this model anywhere you want and it’s can auto adjust to the position easy. It’s no wonder Amazon picks this model for great entertainment. Con’s High priced, no warranty, Triple Batteries NOT included. Just when you thought you seen it all with projectors another one comes in to the market and blows off you socks with amazing features and great projector effects. The Optoma High Definition 14EX has the best features you can ever want in a home theater projector. Lamp life of 12,000 hours which also conserves energy while in action. With Amazon’s top pick to buy I would say this is another great option to consider, but I’m SHOCKED it’s HALF the price compared to other top end models and has a warranty package with support. It’s good to know the HDMI ports can support the gaming, Blu-ray, and HD TV movies which can transform a living room, basement, or garage look to a home theater for Multipurpose entertainment which means more bang for you buck. Buyers Ratings: 5 out 5 stars! Con’s: Does not come with bracket or mounts for the projector/ Not a 4K Projector and can’t HDMI 2.2 ports. this mini projector has a lot of output and does wonders on you energy bill. I can’t speak enough on size with this projector it’s able to fit in you hand that’s how much space you can save as well. Just imagine every type of feature on the market poured look to a great handle held size device? It seems too good to be true does it? here itthe best part… It’s even CHEAPER than the optima projector. Noise reduction down to zero. Best Features: Size is the GAME CHANGER, This model saves energy for those who what small, no noise with convience. Pro’s: Great for saving space and energy with great performance. / Very inexpensive. Con’s Does not accommodate parts for complete device connection. USB ports and no HDMI cables. This is a nice upgraded lens which gives a 40% brightness with more clarity and color set. I believe this has ALL the bells and whispers SPOLIER ALERT. I’m looking to know more about this type of system. The parts included is a plus for me. I think you find it pays to shop smart will enjoy using this device as soon as possible, without paying for it in cost. TWO built in speakers for good wholesome sound and display. Best features: MTS advance star color engine for 60+% more brightness. Pro’s: Size does MATTER, if you look to getting more people over to watch a movie this will help in accommodating/ Fine upgrade. Con’s: No HDMI cables for hooking up you cell devices or ps4, x box one S/ No 4k projection. I love saving the best for last, and this one is the projectorto make ALL projectors put to shame. Epson finally got this home theater projector in the right gear and came out with a great, great, system. If you look to really put the topping of the cake on this project I would say you looking a the right device. This feautre Projector has all what you need to fully entertain yor guess and family with. I believe you have the best option on deck so let’s take a look at what you get for REAL value. 4K enhancement feature which means It can not only support 4K It can enhance non-4K Images look to life-like viewing. HDR10 with 100,000,00 to 1 ratio with dynamic color and contrast to deepen the dark scenes for crystal clarity. 3D ultra color gamut to color brightnesss and exceed 3D effectsto the next level. Pro’s It’s ten sets ahaead of every other projector, if you look for the best then this is it. Con’s Very expensive device, may take a pretty penny but if use for multi-purpose activities it’s worht it’s weight in gold. I could not find a definite projector with ALL the best features so I think it’s best to display a few to make a good choice on. This matters to what do you need the most to fully satisfly you need for home entertainment. Some people want 4K projection with a mounts and a quite motor, and then there are people who who want the smaller package deal with all the bells and whisltes. THis option I would like to know from you please leave a comment and telll me what is you ideal projector. Maybe I could give same good advice on mounting or placement. 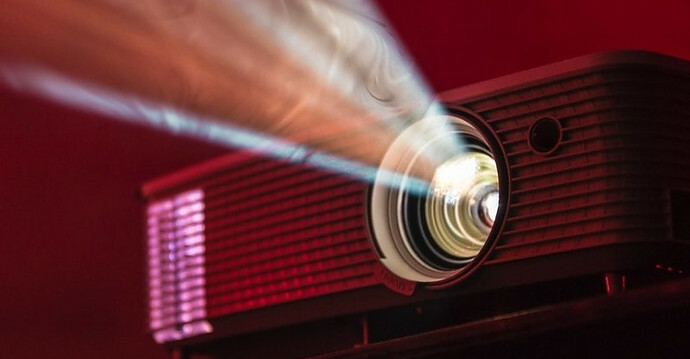 This is my top choice among all of the best projectors on the based on how much value, features, and compatablity each one projector compared,which is a plus for you in terms of making a good sound choice. This choice is all up to you, the person look for the best value, and has the highest rating system. Choice wisely it’s too easy to fall for the brightest and the shiniest object without edcating yourself. Compare new to old, high price to low, best feautres to few and really make a desioin for you next home theater projector. Who Makes The Best Soundbar? Thanks for your great post. I am a huge fan of home cinema, and the ones you post are very cool. I used to want to get an 4k projector from Epson but ended up going with the Vivitek HK2288 4K Projector. I installed it in my house last July and I totally love it. It’s super quiet. Watching movies and playing video games inside your home theatre room is so great that I do not think I can go back to normal TV anymore. The Vivitek HK2288 4k is a fine choice, I checked this out and the reviews are raving with so many great things to say about it. I see it has more resolutions and fine quality which I’m sure you love. I think it’s more to do with everyone choice on what is the best features to use for them. I found out people have selected needs for certain types of projectors. Some love adjustable lenses, other people like the super high resolutions to display more 3-D imaging. Thank you for sharing the Vivitek model. I will feature this in my next review for comparisons. If you have any questions to ask please feel free to ask. My brother has a projector and since seeing his, we have been looking at various options. He was lucky enough to buy a house with a built in screen that comes out of the roof, so it’s a real treat watching a movie or you tube there. Our problem obviously is the screen and where to put it. We have a face brick lounge so no white walls to project to. Nevertheless these projectors have come a long way since I was a child, and it would be wonderful to convert our living area into a home theatre with one of these gadgets. hello Michel, That’s creative way to view movies from the brick lounge. I would find out which side of the brick lounge you want to watch movies and check out the size and quality brand you need to complete your system. This is so important to know when your checking out a new projector or a looking for a surround sound system as well. The good thing is most of these projectors and surround sounds is compatible with each other for the most part. These new forms of a technology have amazing features that you would of never though could happen. Take the time to check out Sony’s projectors It’s well worth the opportunity to look into.